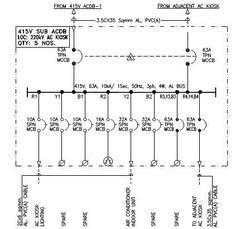 We offer Equipment & Cable tray layout drawings of Indoor Substations and Electrical buildings in large industries. The drawings show location of various electrical equipment, clearances among them, details of various rooms, equipment operability and safety in the electrical installation. Our engineers have long experience of preparing similar drawings for many projects in India and abroad. A Switchyard layout plan elevation drawing shows location of various outdoor equipment in a HV/EHV switchyard, working and safety clearances among them, ground clearances, sizes of equipment, equipment connection details, insulation levels, BOQ, space requirement, approach road, road inside the switchyard, ease of equipment handling in the switchyard. The main criteria for preparing the layout is the clearances as per relevant standard and Client's specification. Our engineers are highly experienced in preparing similar drawings for EHV switchyards upto 400kV. 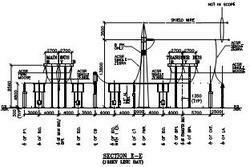 We have a well organized team that can design and create detail foundation layout drawing of the switch yard showing location of all foundations for gantry towers, equipment foundations, road, cable trenches, drain, fence, gate, foundation of control room building, DG room, staff quarters and security post. The same drawing demarcates the dimension of the switch yard area which is to be covered by gravel spreading. Our Sr. 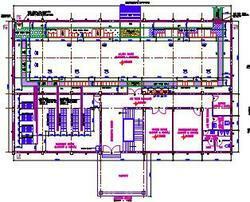 Engineers have long experience in designing for these kind of drawings for many projects in India and abroad. Earthing is the main important requisite of any electrical system for operator's safety and to achieve system grounding. The system grounding enables earth fault relaying. Earthing system is generally designed as per IEEE standard or relevant national standards. 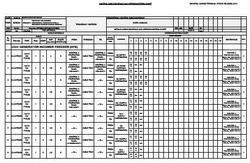 The design can be done either manually by Excel or by using computer softwares. The earthing design is dependent on soil resistivity value, which is measured at site by four wenner method. 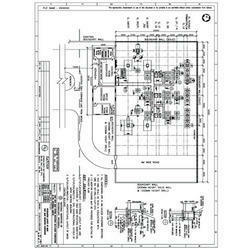 We have all the standards for earthing design and preparation of earthing layout drawings. Our engineers are apt in preparing similar drawings. 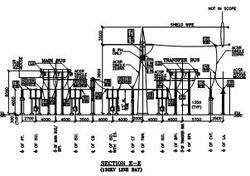 A 'single line diagram' (SLD) is one of the most important drawing in a power transmission or distribution system. It shows the power flow in one line form. Three phases in AC system or two lines in DC system are represented by one line in SLD. In all our projects we are preparing such SLD. Over the years our engineers have gathered thorough experience in preparing SLDs for LV/MV/HV/EHV systems. The SLD can be of two type - 1) Key SLD (does not show the CT and PT/CVT secondary circuits) and 2) Protection and metering SLD (shows details of protective relays and metering devices connected at the secondary sides of CT/PT/CVT). Cable schedule and interconnection diagram shows various cables laid from one equipment to another equipment, through which route, route length, cable sizes, voltage grade and termination details. These drawings are generally done at the end of the design stage when equipment details are finalised and terminal details for cable connection are approved. we are preparing such cable schedules in all projects over the last many years and thus have gathered long experience in these type drawings. Erection key diagram shows requirement of clamps, connectors, insulators, hardwares in a Switchyard for connection of ACSR conductors or AL tubes to various outdoor equipment. In all substation projects, our engineers and draftsmen are preparing similar drawings since year 2004 and have gathered long experience. Outdoor equipment at switchyards are exposed to direct lightning strike if they are not protected against it by lightning protection (LP) measures. The LP measures are designed with respect to relevant NFPA, IEC or IS to preclude the probability of direct strike on equipment and thus saving them from severe damage. Our engineers have in depth knowledge on standards and their applications for design of adequate LP measures. Steel structures are required in switchyards for mounting of HV/EHV equipment on them. Since ground clearance as per relevant standard is to be created, most of the equipment at a switchyard need a structural support to elevate the live connections from ground. The structures can be lattice type or pipe type depending on Client's choice. 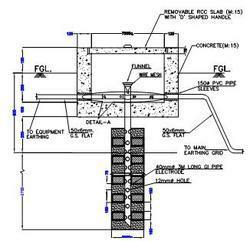 Our senior engineers have thorough knowledge in preparing these drawings as per BS/ACI/IS.